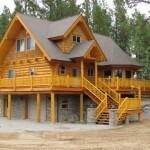 Clearwater Log Structures can meet all of your log home or log cabin needs. 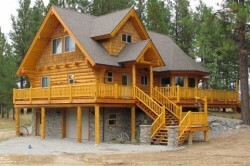 Clearwater Log Structures are built with full scribe, Swedish cope or chink style construction. 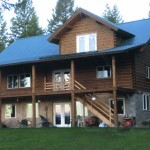 We use only dry, dead standing lodge pole pine logs. The logs are hand-peeled with a drawknife to retain the protective insulating layer just under the bark. 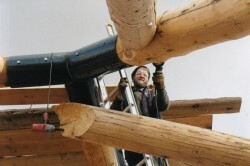 This technique helps preserve the natural color and character of each log. We can finish everything for you, or save you money and let you finish the home yourself. 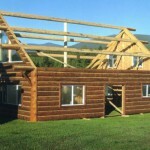 We also do other custom log work such as gazebos, or a highly economical half log walled cabin with traditional lumber construction. Give us a call and we’ll discuss your project!